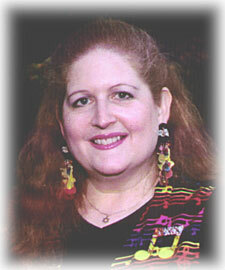 The Judaica Sound Archives is proud to feature the beautiful voice of Judy Caplan Ginsburgh. Although much of her work is geared towards children’s music and holiday songs, her clean, clear, lyrical voice performs beautifully when singing cantorial songs, romantic ballads, and folk songs. She is a nationally recognized and multi-award winning performer. She travels extensively to perform at a variety of different of events, appearing in concerts, educational workshops and sing-alongs . Judy obviously has a passion and a talent for childhood education. She has innovated a number of educational performances and events which engage school-age children with music and song. One of my favorites from her collection is the iParenting 2007 Award winner, You’re Amazing. Judy has had great success as a recording artist since 1981. Her award-winning, best-selling recordings for Jewish families feature familiar songs which have been sung for years in Jewish schools and homes. Her interactive and educational recordings of music for general audiences have received the highest praises from teachers and parents around the globe. The Judaica Sound Archives has 11 of her albums in our collection. I know that once you start listening to them you will be emailing me to ask where you can buy the CDs. So before you have to ask. I will tell you. The Judaica Sound Archives does not sell CDs. If you are interested in purchasing this music please visit Judy Caplan Ginsburgh’s website: www.judymusic.com .